Barter Books : Latey, John Lash [ed.] 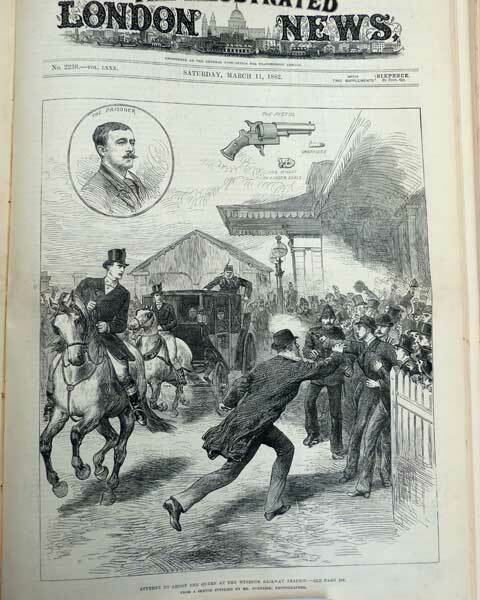 : The Illustrated London News. Volume 80. January -June 1882. 410 x 290 mm (16 x 11 inches) - 630pp. Marbled hardback boards with black cloth spine. Worn condition. Cover rubbed with splits to spine. Content in overall good condition. Ireland. Egyptian crisis. Submarines. St Gothard Tunnel. Architecture. Expeditions. Inventions. Sport. Train and ship wrecks. Fashions. Yacht and horse races. Panoramas.